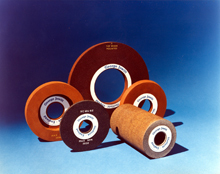 A range of specialty resin-bonded abrasive grinding wheels and segments. We can now also supply specialised CBN and diamond products in resin, metal or viitrfied bonds. 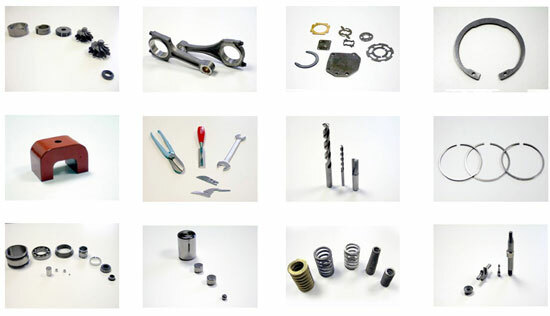 Springs, bearings, con-rods, tappets, circlips, magnets, hand-tools, drill-bits and reamers, piston-rings, compressor and pump-parts, shafts and spindles, cylinder-liners, washers, spacers, tubes, stoppers, hydraulic and pneumatic shafts, glass-rods, bar grinding, cam-shafts, crank-shafts, pins, valve stems, valve seats, valve guides, fine-cut blanks, flame cut blanks, stampings, machine knives, saws, transmission and friction parts, roll grinding, castings, forgings, refractory materials, ferrous and non-ferrous materials, composites, etc.. Which of our products are you interested in? Nut inserted discs, cylinders, segments, peripheral and centreless wheels. Sizes: 150 to 1067 mm outside diameter. Slots: Made to suit application. Perforations: Made to suit application. 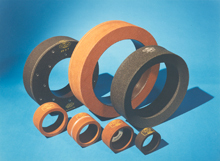 Sizes: 100 to 762 mm outside diameter. Recesses: Plain, single and double recesses. Sizes: 300 to 630 mm outside diameter. 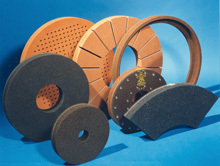 Shapes: A huge range to suit most segmental grinding machines from all around the world.. If you have an account with us already then why not place an order over the Net? Never dealt with us before? Send us your enquiry using our on-line form, fax, email or just give us a ring. 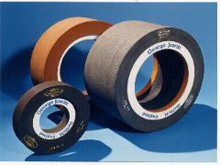 Safe mounting of grinding wheels and segments. Click to find out more. Not sure which segment shape you have? Try our all new "Segment Selector". Jowitt is the sole importer for Molemab products in the UK. 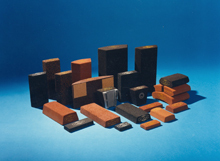 Molemab, the world's 4th biggest bonded-abrasive manufacturer produce a complimentary range of products including speciality vitrified and standard stock as well as resin, vitrified and metal-bonded diamond and CBN products. This partnership allows Jowitt to offer the marketplace a "one-stop-shop" for the range of abrasives products, for single-sourcing and stocking arrangements. with full technical pre- and post-technical support.